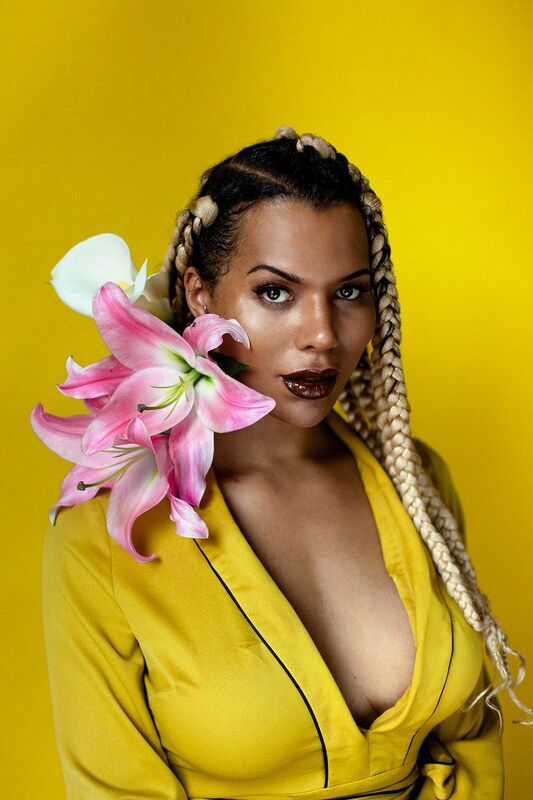 Social activist and model Munroe Bergdorf, known for her honesty in an industry that doesn't always value authenticity, is using her platform as an international influencer to raise awareness on social issues that affect all of us. Munroe shares her experiences as a transgender woman of color to bring light to untold stories, and frequently challenges stereotypes of race, gender and sexuality. This openness has not come without cost to Bergdorf. 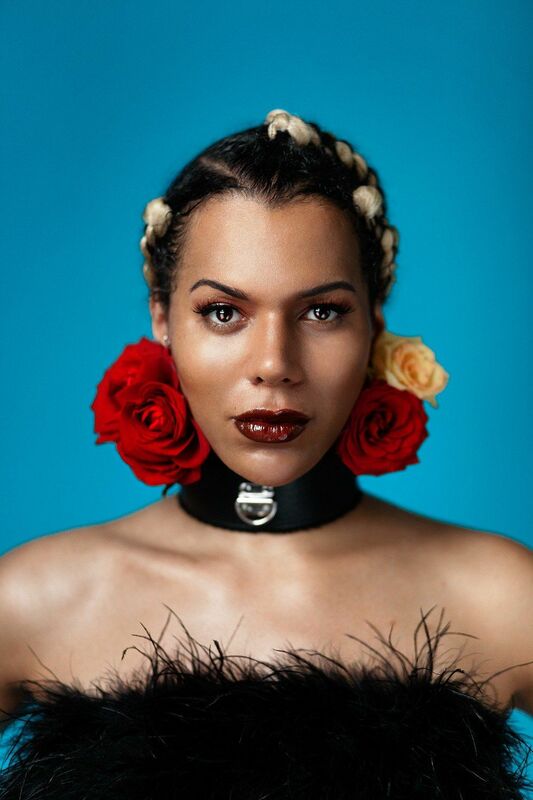 This year, shortly after being chosen as one of the new faces (and first transgender model) for a L'Oréal campaign, the beauty giant dropped her when posts she'd written on Facebook calling out white supremacy came to light. The irony of being hired as part of a new diversity initiative, only to be fired for speaking on topics related to race, was not lost on Bergdorf. Despite harassment and threats, the activist and model pushed forward, speaking about her experience and signing onto a new modeling campaign with beauty brand Illamasqua. Bergdorf shows us that not bowing under pressure to remain silent in the face of injustice is truly beautiful. Usually I'm my most creative in moments of solitude, with as little outside influence and as close to nature as possible. I got my first break at the beginning of my transition in 2011, modeling for a Lebanese couture designer in London. Right now I'm just coming out the other side of a media storm that involved me being dropped by a major beauty brand after calling out white supremacy. It's been a bit of a slog trying to get through it, but we're coming out the other side and I'm now in the midst of filming a docu-series for HuffPost called New Activists, on how it has affected my activism and where I go from here. I also just signed a new beauty contract with Illamasqua for their Christmas 2017 campaign. I've learned to find success in small victories and being content with what I have. I'm cautious about the pitfalls of constantly striving for more when it comes to personal gain. I don't want to become jaded when it comes to success within my career. My real value lies in spiritual fulfillment and how I lift up my community. Feedback matters for sure. My reaction to it is based on how constructive the criticism is. I'm always open to advice on how something could be improved. It's been a definite process of finding a work/life balance that works for me. I'm definitely more mindful to not work in a way that consciously feeds my ego. There was a time when I wasn't as diligent in identifying toxic situations and environments. This then infiltrated my work ethic. I hope we all hope to make a mark on the world in some way. Whether that's children or our career or the ideas we share. I'm not too concerned with my legacy to be honest. I just want to live my life to it's fullest capacity and bring about as much positive change as I can while I'm here. Know your message, know your audience, know your facts, know your destination. The fact that diversity is seen as a trend by some, especially the people who diversity doesn't benefit, frustrates me. Diversity isn't a trend. Diversity is everybody being given an equal shot. Brands should not be getting applauded for giving everyone an equal shot, this should be the bare minimum we expect from fashion or beauty brands. Honestly, after the whole L'Oréal situation, I feel like I've been to hell and back and aged about a year in one month. So if that didn't deter me, then I'm not sure what will. I'm looking forward to working with brands that want to challenge society norms and beauty standards in a truthful way. Brands that stand by me and encourage me to use my voice to talk about issues that are close to my heart. I'm not really too sure, it's been such a gradual process. My first big fashion campaign for Uniqlo really opened up my eyes to how I could use fashion as a medium to connect with people. I think it is the first time I realized that just by talking about my own experiences, I was able to make other people feel less isolated and that made me want to continue. Maintaining relationships with people who don't understand my career choices has been hard at times. I usually get up around 8 am. I'm definitely a coffee devil - usually takes two cups to bring me fully around. Right now, I'm looking forward to using this new platform I have to speak about issues that I feel aren't given the attention they should be. I also want to help raise up the voices of fellow women of color within my community who are doing incredible things and have been doing incredible things WAY before I came on the scene. People like Lady Phyll, director of UK Black Pride, Chardine Taylor Stone who is the founder of Black Girls Picnic and Kayza Rose who founded BlackOut LDN. I'm super mindful of complacency. Right now we are beginning to have a more frank discussion about racism. If we are going to make change happen, we need to be willing to remain open. Not become complacent. As we've seen with Donald Trump coming into power, we cannot become complacent, ever. I'm much better at giving advice than taking it for sure. The best advice I can give is, "Do what you came here to do." Simple but effective. The best advice I've been given is, "Believe anything is doable, find a way." I try to live my life by that. For me personally, there is nothing more beautiful than somebody who is truly themselves. A person who is living in their truth will always omit a transcendental beauty. It's rare but when you see it, you really see it. Having the courage to be myself, day after day. I'm proud that finally I realize that I am enough and worthy of a happiness that I can create for myself.